There’s a lot going on and you need to plan in advance – to party right and not blow it. Don’t worry, we’ve got you covered with all the best options for how to ring in the New Year in the UAE. 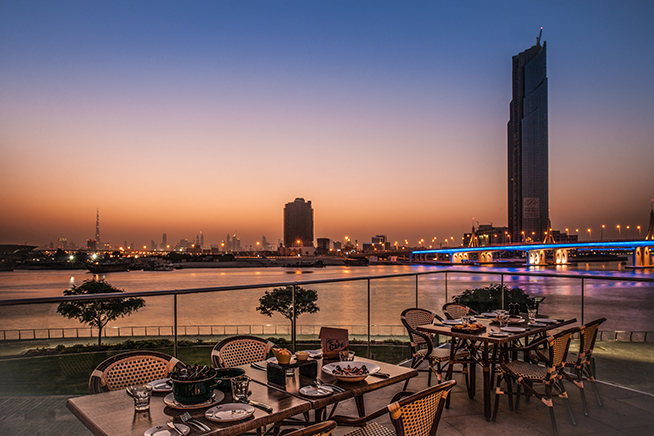 Here are 21 of the best dinner brunches to celebrate New Year’s Eve in Dubai. 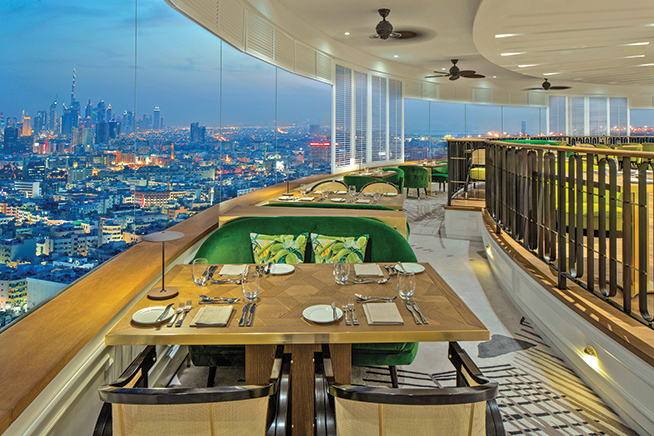 Watch the fireworks light up the sky from Al Dawaar, Dubai’s only rooftop, revolving restaurant and lounge. Guests will enjoy a live kitchen dining experience, with grilled and wok-fried dishes, a meat lover’s station, sushi, sashimi, fresh seafood and a dessert island. Enjoy a pan-Asian menu along with an exclusive live performance by DJ Kelly Marie accompanied by percussion saxophone. Choose from the open bar with drinks only (Dhs499) or go all-out on a brunch-style spread including sushi, dim sum, miso black cod, and grilled lamb chop (Dhs699). Upgrade your brunch package to premium for Dhs799. The ‘Fest On a Soif’ event brings Belgian celebrations to Dubai. Authentic dishes are served to your table, and there will be live music throughout the evening. Hit the beach at Club Vista Mare for a four-hour brunch with free-flowing drinks and a champagne toast at midnight. There will be live entertainment and an excellent view of the fireworks. The Dubai brunch favourite is offering the same huge selection of food stations and lively atmosphere, but for NYE the fun will start after dark. The popular party brunch is going mega as it bids farewell to 2018. Expect DJs Tango and Willow, along with plenty of other entertainment, to kick-off the revelry straight away. Five-piece international band Foreign Affair play brunchers into 2019. And it’s not just the band that’s international – food stations will include a wide variety of dishes from all over the world. Head to Indian restaurant Khyber for dinner followed by an after-party on the beach. 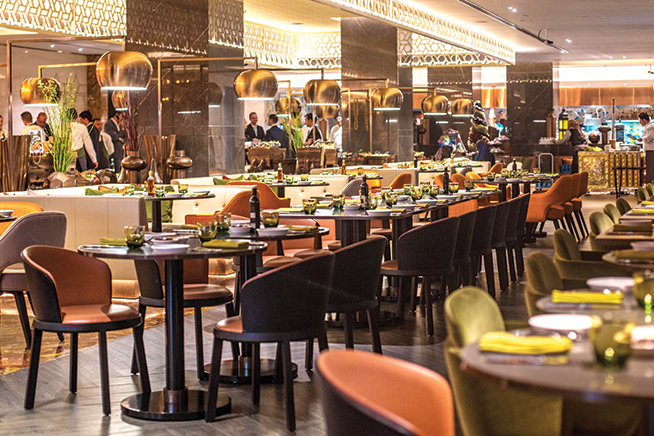 Live cooking stations serve up fresh dishes against the impressive backdrop of the Burj Khalifa. As well as five-star food and drinks, guests can opt to dine alfresco, offering a direct view of Dubai’s New Year’s Eve celebrations. Dress to impress and head to this What’s On Award-winning French restaurant, which offers special sharing menu featuring their signature dishes. Indoor and outdoor bars will also be available for guests who want to join for drinks only. Loumi, Biggles and Cactus Jack restaurants are joining forces to put on one big buffet. Expect performances from traditional tanoura and belly dancers, music from the resident band, as well as a DJ on the terrace. “Wok n roll” your way into 2019 with a special edition of this much-loved brunch. Along with five courses and three hours of drinks, a melody of 2018’s best hits is on the bill for karaoke. The afterparty will transport you to one of Thailand’s famous full moon parties, complete with UV paint. 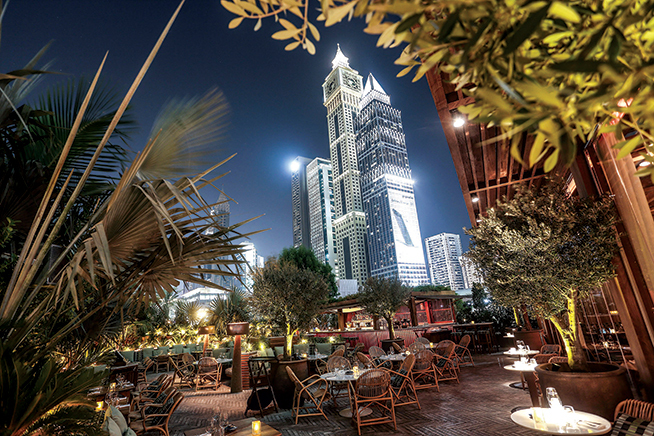 Outdoor seating by the infinity pool provides views of the Burj Khalifa fireworks. Live entertainment is on offer, along with an international buffet. 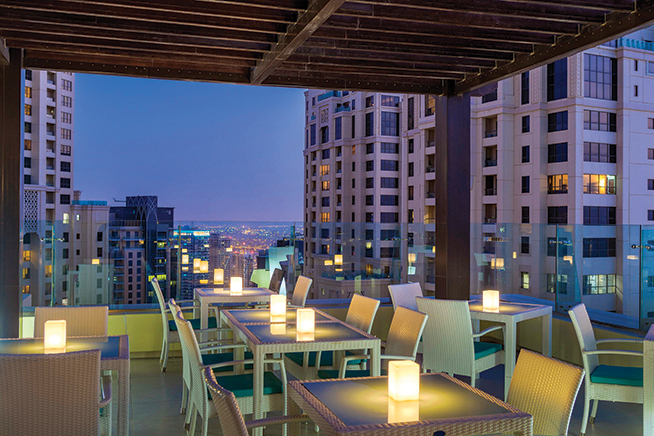 The terrace will be in full swing for a New Year’s Eve countdown that culminates in a view of the JBR fireworks. The resident DJ and a saxophonist will get the atmosphere going. DJ Guess Hu is getting behind the decks for Q43’s big bash. Join for the brunch in the restaurant from 9pm (Dhs599) with a set menu of dishes like teriyaki glazed Black Angus short rib and braised lamb shank, or go for the open bar (Dhs399) and hit the dance floor from 10pm. VIP tables for eight to 10 people with small bites and bottle service are available for Dhs599 minimum spend per person. Flamenco dancers put on a show at this year’s lively Spanish soiree. You can also expect traditional Spanish tunes and unlimited tapas. This poolside party gives you a fantastic view of the Festival Bay fireworks. As well as a buffet with live cooking stations there will be live music and free-flowing drinks. A gourmet buffet is served along the shore, alongside DJ beats at beachfront spot Laguna. Downtown’s newly opened steakhouse offers front row seats to the fireworks. 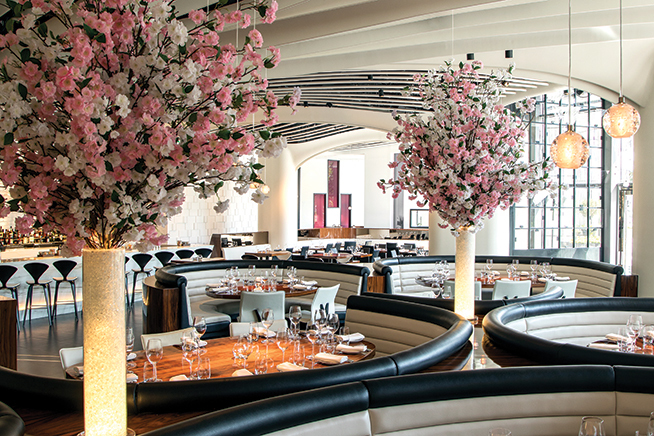 There is a brunch-style menu with dishes like prime fillet, lobster risotto, passion fruit, and miso black cod. A live saxophonist will get the upbeat atmosphere going, with plenty more entertainment to surprise you throughout the night. The classic Dubai party brunch is getting a Bollywood makeover. As well as a buffet brunch and some creative drinks, there will be a live band and a line-up of DJs to get you on the dance floor. One of the city’s most iconic brunches is bidding farewell to 2018 in its traditional boisterous style. Expect games, live music, songs that will get you dancing and a massive countdown to midnight.